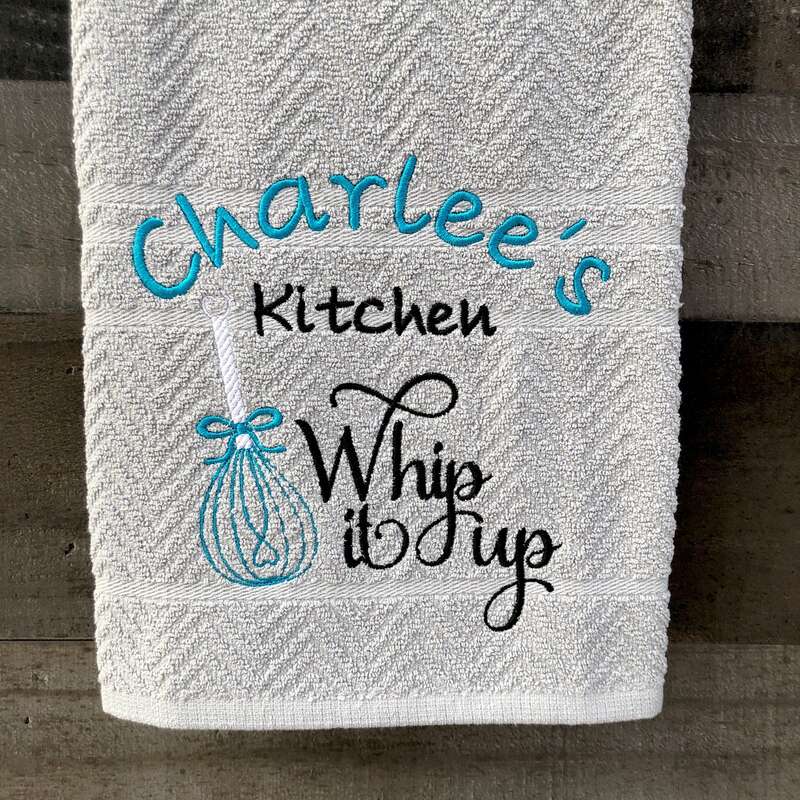 Personalized embroidered Kitchen Towel with Name! 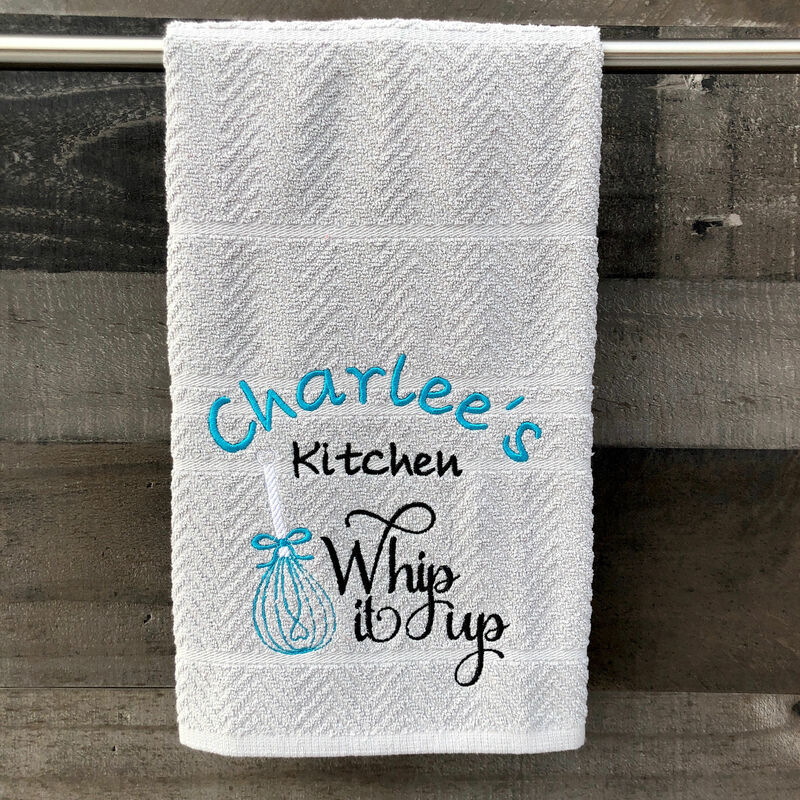 Perfect gift idea for a housewarming, bridal shower, birthday, Christmas, or any other event. 1-3 day turn around time. First class shipping with tracking! 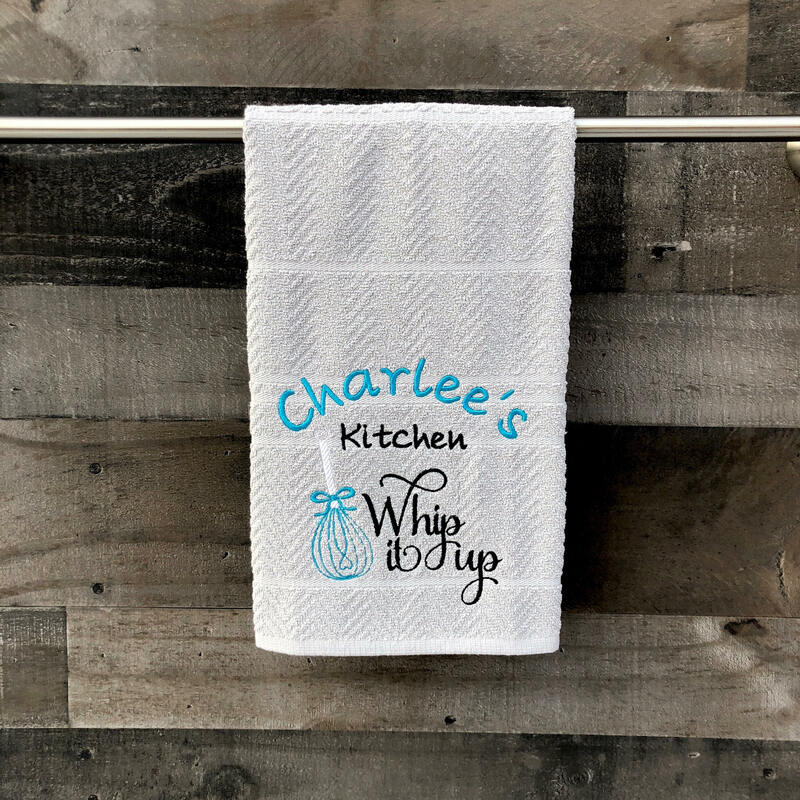 Receive your towel is less than a week! All items are shipped within 1-3 days, sometimes the same day! USPS first class mail with tracking.